Casumo Casino has made a name for itself in the world of online gambling thanks to a number of factors. Apart from being well-regulated and offering one of the biggest gaming portfolios around, the casino has managed to also create a very engaging and entertaining platform following the latest gamification trends in the industry. 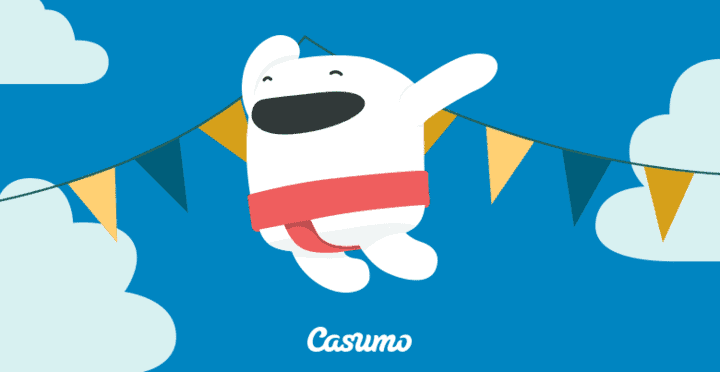 Casumo welcomes players from New Zealand and they are eligible to claim a rather generous bonus once they first sign up and deposit. You won’t need a Casumo Casino bonus code to claim this offer, but we’ll briefly explain other things you should know about the offer. All new players signing up for the Casumo Casino account from New Zealand are eligible to receive a 100% first deposit bonus up to NZD300 alongside 20 free spins. As usually, free spins are issued for NetEnt’s old but popular Starburst pokie. Once you’re ready to make the deposit, simply go to the cashier, select the method, and proceed to deposit at least NZD10 to trigger this offer. There is no Casumo Casino coupon code connected to this bonus, so the bonus will be added immediately after the deposit is confirmed and you’ll be ready to start playing. At Casumo Casino, the welcome bonus and the deposit amount added together need to be wagered 30 times before the player is allowed to withdraw the full amount. However, although you can’t withdraw any bonus funds prior to completing the wagering, you’ll always be able to withdraw a part of your winnings, which is a nice little feature available at Casumo. The amount you can withdraw at any point will be visible in your cashier. A majority of slots available at Casumo will contribute 100% towards the wagering, but there are a few exceptions such as Dead or Alive, Blood Suckers, Jack Hammer 2, etc. The full list of excluded slots is available in the Terms and Conditions of the bonus.